I love grouping students for games, speaking activities or quick-shares, but I also want all students working and all students to be included. Does that happen when students pick their own partners? Not always! 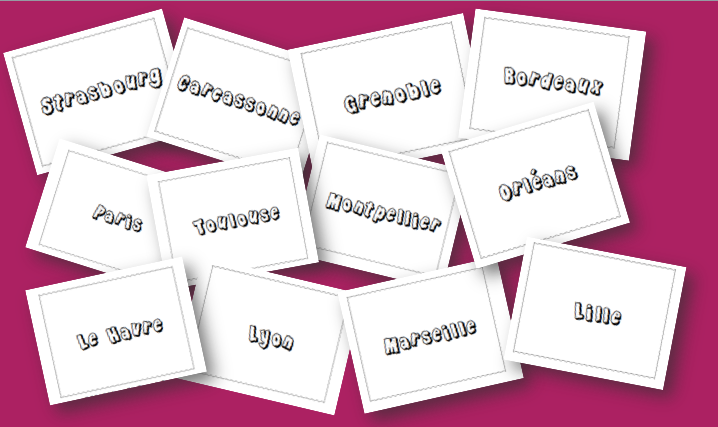 So, in my class, I use grouping cards ALL THE TIME! 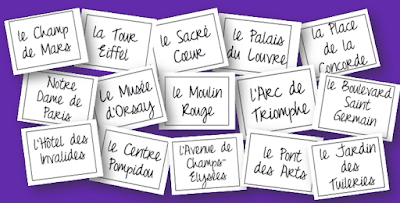 My pairs cards are all French cities, so students get exposure to a large variety of cities. If a class is moving quickly, I take a few minutes to discuss interesting facts about the city. If we don’t have time that day, they at least found a partner and practiced reading and identifying a new word. We’ll use the cards a lot, so there will definitely be time to discuss each topic during the year. My Teachers Pay Teachers Resource includes 22 cities so you can pick what is best for you! My groups of 3 are animals. I have chosen a few well-known animals such as le chat or le chien, but I have avoided animals where kids might make fun of a group (such as la vache or le cochon). I have many back-up cards, so if there is an animal I’d rather not use, I can always put that group to the side and pick another! There are 37 animals included, so you can always select what works best! My groups of 4 help you introduce the monuments and sites of Paris. Students will love seeing places that they recognize and will be more excited to learn about the different places they aren’t yet familiar with! 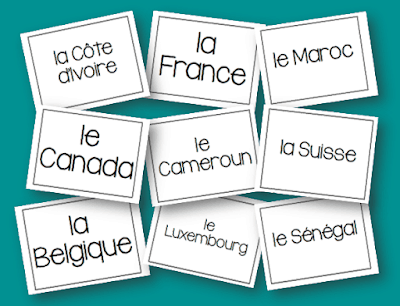 My cards for groups of 5 are a great way to introduce Francophone countries. 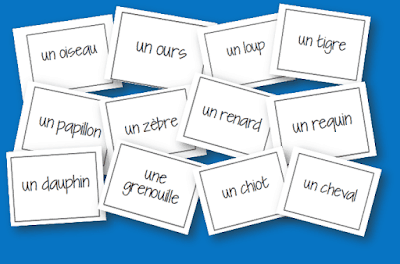 Students will easily begin to see the diversity of the French-speaking world as you use these cards to increase their knowledge of the French-speaking world! So, how can you use these in your classroom? I use them on the first day of school to assign my seating chart! I laminate and then tape one of the pairs cards on the corner of each desk. I greet all students at my door on the first day, and I hand them a card that is a match for a pair taped onto a desk. They enter, find their seat, and voilà ! My seating chart is done. As I collect the cards, I have each student introduce him/herself and I fill in my paper copy. 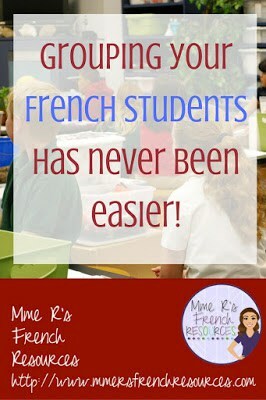 Get your French students speaking! What about you? What do you love to do in groups? Do you let students pick their groups or do you pick? I’d love to hear your ideas below! What great tips! Thanks for sharing! This looks like a great idea for foreign language. Not only are you grouping, but also, providing growth in vocabulary. Way to go! Love this idea in that it is 2 fold…learning and forming groups at the same time…What a fabulous idea! !